When Gov. Larry Hogan took office Wednesday, protectors of Marylanders’ air, water, soil, health and climate were in attendance. 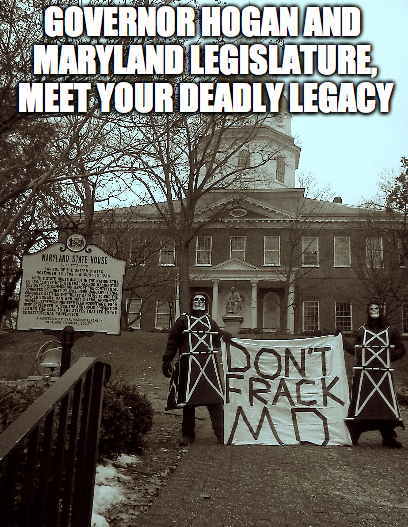 By our presence and signs, we let the new governor know from Day 1 that fracking is not safe for Maryland. During the inauguration, about 20 people stood in the cold and, eventually, the snow — including folks from BXE (Beyond Xtreme Energy), who turned the PA inauguration, Maryland’s inauguration and a monthly FERC meeting Thursday into a 3-day roadshow.